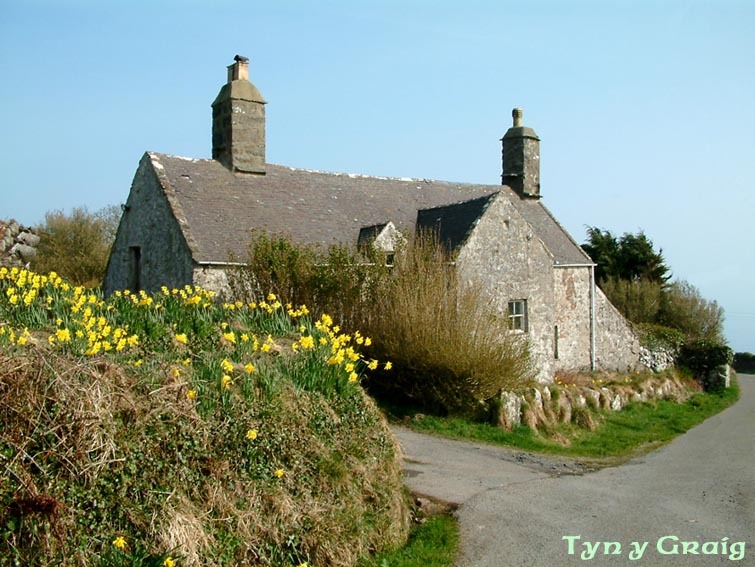 There were twenty or so thatched cottages in Rhiw , Foel Tynllan, Cocrwth, Bryntirion, Ty Ucha ( known as Huw the Cobblers house ), Tancapel, Two Parish Cottages, Ty Isa near Pisgah, Tyn Mynydd, Conion Ganol, Benallt, Tyn Rhos, Bodsara and Fryndol. Fryndol was a mud and wattle cottage, but the rest were loose stone with mud to fill in. When a new roof was put on Llanfaelrhys church in 1901, the wood from the old roof was used to re roof the cowshed at Carreg Lefain Fawr. Years ago there were at least five inns in Rhiw namely Tyn y Graig, Pen Poncyn, Mason’s Arms, Trip and Tyn Borth down at Rhuol. 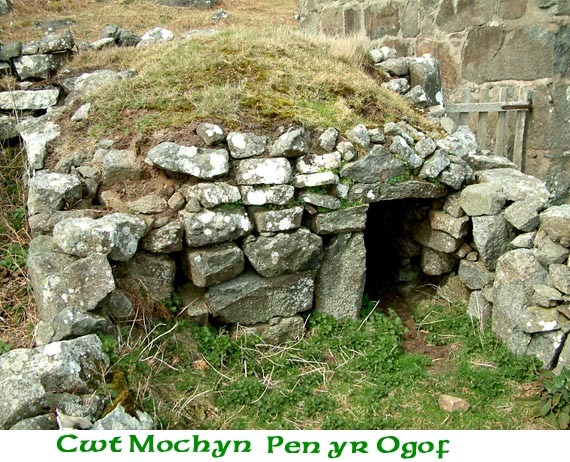 This pigsty is one of only three remaining of this type in the whole of Britain, two of which are in Rhiw namely Pen yr Ogof and Brynffynnon. Built in 1885 by Lord Newborough , he sent eleven wagon loads of timber to build it. Four horses from Penarfynydd were sent to the bottom of the hill at Hells Mouth to supplement the Glynllifon ones for the mile long haul to the village. Small ships and boats were built at Rhuol ( Hells Mouth ). The largest was the ‘Swallow’ built in 1802, she was 40 tonnes. In 1863 she was lost off Abersoch. ‘Eban’ was another of the ships to be built there, it is said that Ebenzer Richards the minister blessed her and held a prayer meeting down on the beach. The leveled out area is where the "Swallow" was built.